Ghost towns of America east do exist. However, they are different than the better known western ghost towns. What Is The Difference Between Eastern And Western Ghost Towns? The difference between the ghost towns of the east, and the old towns that are located in our western states is this, the ghost towns of the east are no longer visible. Today, the only clue that a home, or a town once existed, is nothing more than a hole in the ground…these empty holes are cellar holes. The cellar holes are what are left of the houses that once sat on top of them. 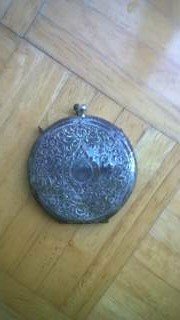 The information that you will be reading on this website is based on my popular metal detecting, TV series, “Ghost Towns Of The East”. Watch John and I search for the old towns that once existed hundreds of years ago. 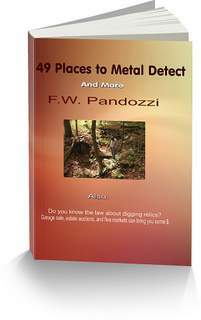 You may be a person who would like to explore ghost towns of America, or perhaps you own a metal detector, and you would like to search around these areas for lost, or buried relics from the past. Either way, exploring these old sites is a great adventure for you and the family. You never know what you may find when searching around these cellar holes. Often times you can hike, or backpack into remote areas, or just drive the back country roads searching for the old towns. When looking for these remote, eastern towns you need to have an understanding of what to look for. Because the homes or towns no longer exist it is difficult to find them. However, if you know what signs to look for when searching for ghost towns of America east, you can find them. Whether you want to search out the eastern ghost towns, or travel to the existing, abandoned western towns, this is an exciting adventure that can lead to some interesting experiences and treasures. However, be sure to get permission from property owners if you will be searching on private property for ghost towns in America. And if you do any digging, be sure to understand the laws that deal with the removal of artifacts. Please bookmark this page if your State directory is not listed. I will be continually adding more States. My new report, “Gone But Not Forgotten, “Ghost Towns of the Eastern States" has all of the information you need to search for the old, eastern towns.